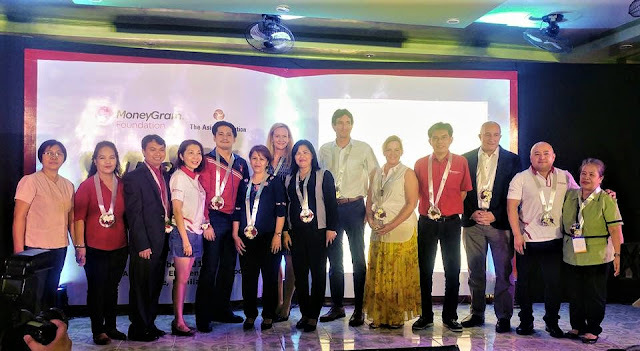 Right in time for the celebration of World Teacher's Day, Moneygram Foundation has awarded a new grant worth more than $50,000 or more or less Php2.7 million to the Asia Foundation in the Philippines. Moneygram Foundation which was founded in 2012 by Moneygram helps children from around the world gain access to educational facilities and learning resources. Its mission is firmly rooted in the belief that education is at the heart of better economic opportunities, healthier families, and individual freedom and empowerment. The foundation is focused on inspiring minds and improving lives and grants funds to deserving organizations with its mission in mind. Moneygram Foundations has helped over 50 countries and more than half a million kids from around the globe. The foundation's recent project in the country dubbed "Black Pencil Project" was able to help students from Banawe and Bantayan Island in Cebu. The Asia Foundation, on the other hand, is a non-profit international development organization committed to improving lives across a dynamic and developing Asia. Since 1954, The Foundation's Books for Asia program has donated print books to thousands of under-resourced educational institutions in 21 Asian countries. Informed by six decades of experience and deep local expertise, their work across the region addresses five overarching goals - strengthen governance, empower women, expand economic opportunity, increase environmental resilience, and promote regional cooperation. 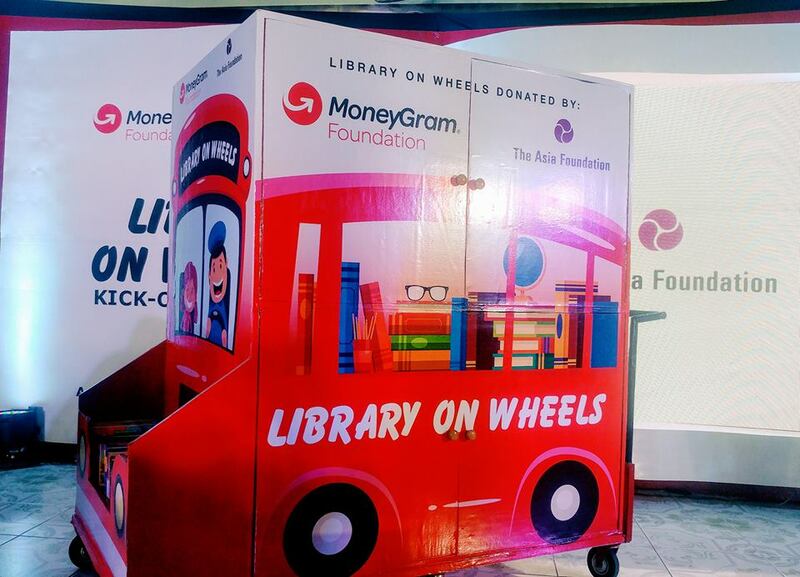 The grant will help fund the "Inspiring Minds with the Gift of Literacy" project, which will provide 50,000 new books and 20 mobile "Moneygram Gift Carts" to 100 schools in the Philippines over two years. The book, valued at $1.5 million, will directly benefit more than 500,000 students and teachers across underserved and rural Filipino communities. Over the next two years, four major events will be held at five schools without traditional libraries. 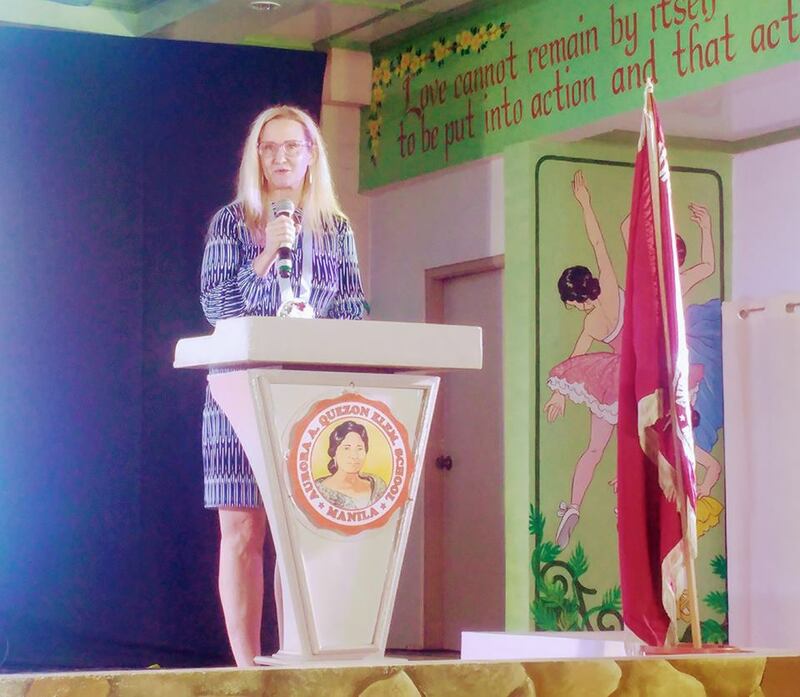 At the unveiling of Library on Wheels at the Aurora A. Quezon Elementary School in Manila, representatives from both organizations - Joan Chatfield, the Chief Marketing Officer of Moneygram and Sam Chittick, The Asia Foundation's Country representative for the Philippines - spoke about the importance of literacy and education. "The Moneygram Foundation is committed to providing equal education to every child, especially those in underserved communities. By supporting the Asia Foundation's mission to provide books and libraries across the Philippines, we are standing behind the idea that equal learning opportunities should be available for all," said Joan Chatfield. 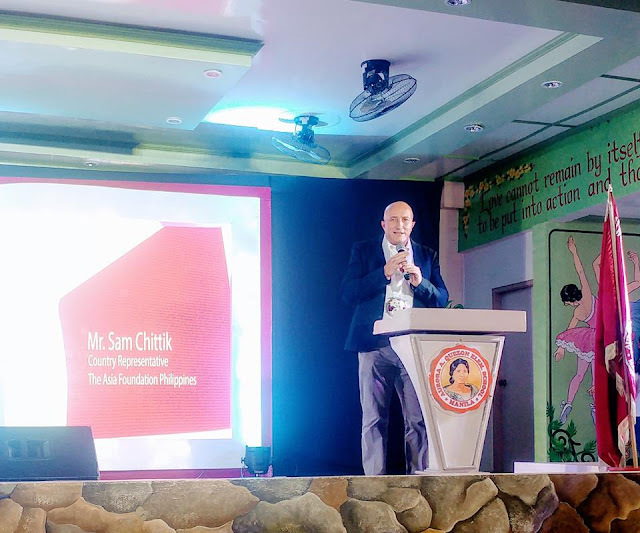 "The Asia Foundation has provided books for the Philippines since 1954 and continues to believe in the power of literacy to positively impact lives, both now and in the future. The Asia Foundation is grateful to the Moneygram Foundation for its support in helping communities across the Philippines," said the representative from The Asia Foundation. At the Library on Wheels Kick-off Ceremony, which was hosted by Issa Litton, students and teachers of AAQES spearheaded by the School Principal Trinidad Galang, showed how grateful they were for being one of the beneficiaries of the project. 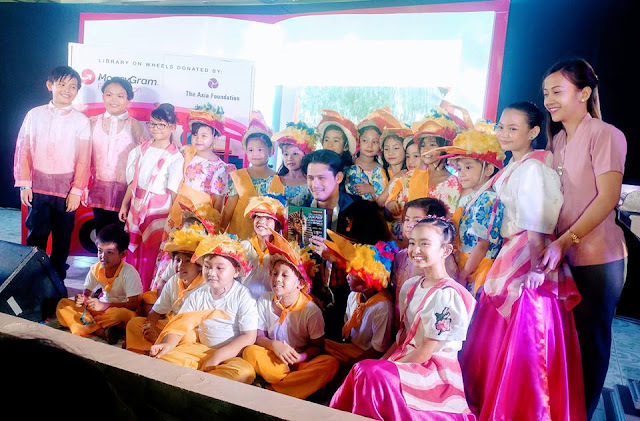 The event was also graced by Public Schools District Superintendent Dr. Mustela Dantes and Actor Robin Padilla, Moneygram Ambassador. Robin reminded the kids to take good care of the books and consider them as treasures. Despite the coming of digital age, books remain as powerful today as when the day it was first published; therefore this collaborative project from two reputable institutions is expected to empower more youth of this generation, give them better ideas for today and for the future, awaken their creativity, give them more critical thinking and open their minds and hearts to what betterment they can contribute to the society and to the whole world.